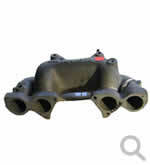 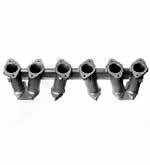 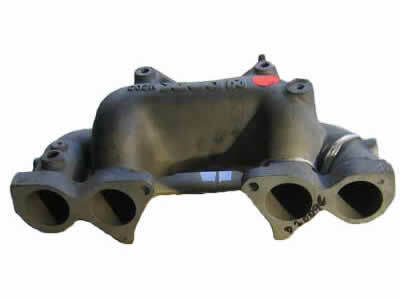 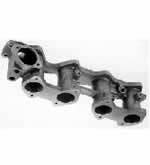 Redline manifold to suit Datsun/Nissan 240z/260z-280z, suit 3 x Weber DCOE. 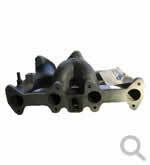 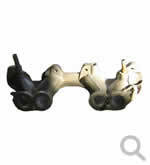 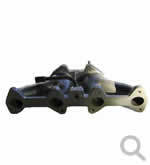 Linkage to suit 12-2626 cp $245.95 . 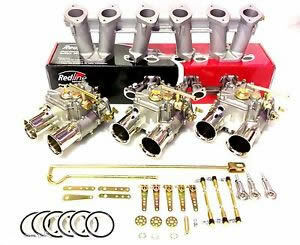 Complete kit manifold / Webers/soft mount/linkages . 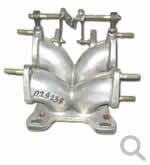 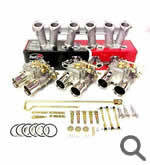 To suit Toyota 1100-1300cc 2k-3k 2 x DEOE Webers cp $278.65. 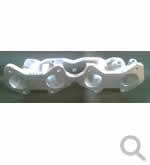 Also linkage kit to suit 42-2562. 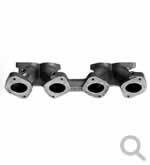 Twin Webers to suit Sigma 1800-2600 = 2.6L, linkage to suit twins 42-2706. 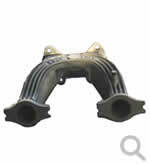 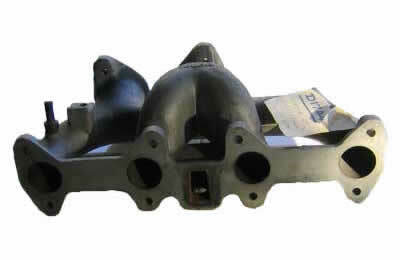 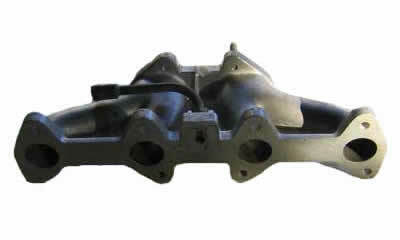 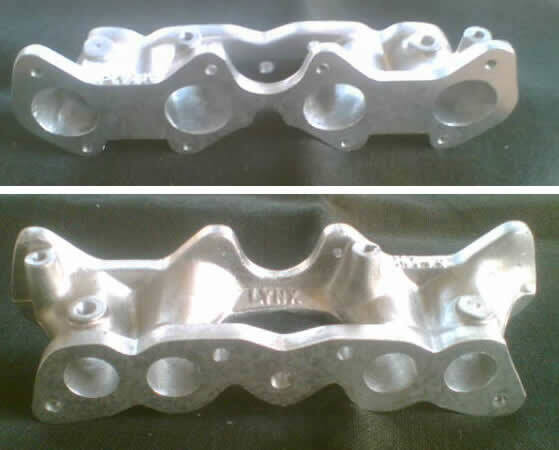 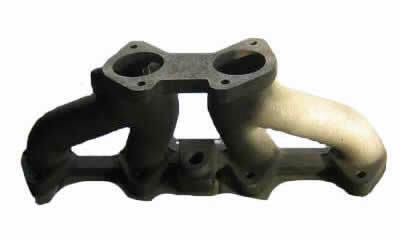 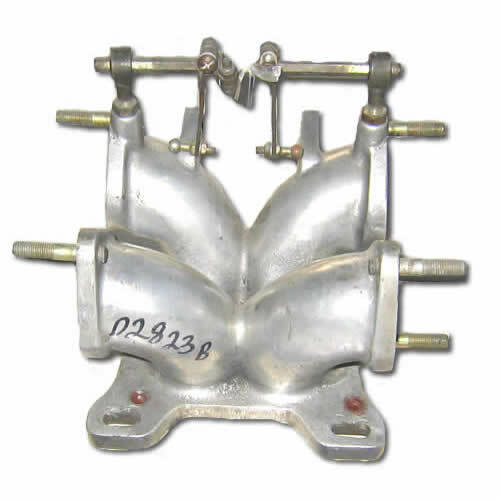 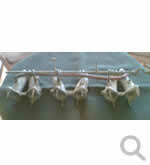 This is a very rare item "Ritter" turbo manifold to suit L series Nissan /Datsun 260/280 motor. 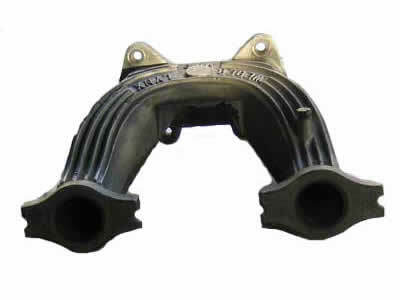 Reversed for marine application with TO4 turbo and external wastegate for draw through carby. 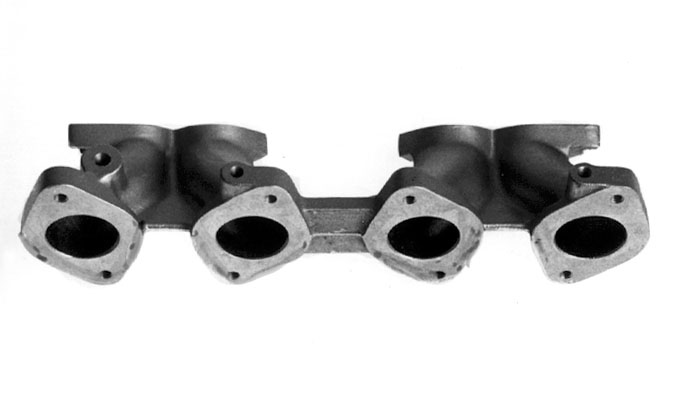 Develops more horsepower than a 351 Ford. 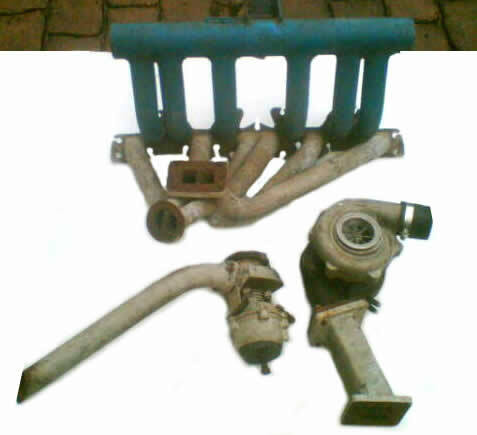 To suit Datsun / Nissan 240z, 240k, 260z,260c ,280z - very rare Lynx M016 with throttle linkage firewall. 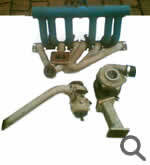 Can use linkage kits KC903 or KC906. 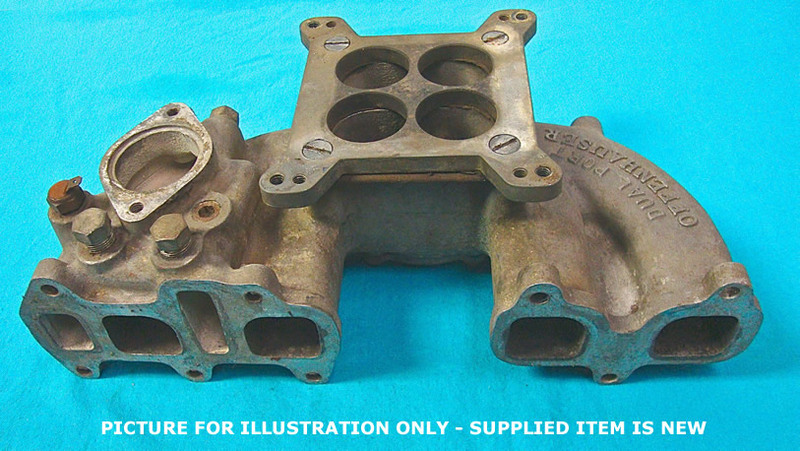 To suit 1 XD Weber/Dellato, MGB 1500-1800 'B' engine - requires soft mounts. 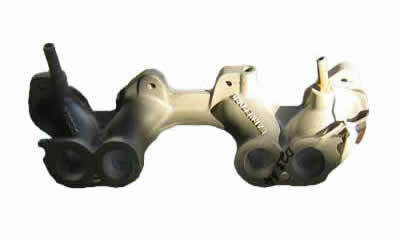 Linkage to suit KC901. 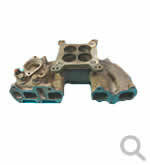 To suit Mazda 1500-1600-1800-929-121 fit 2 X DHLA or DCOE. 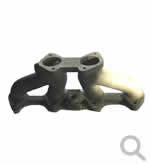 Linkage kits also available for Dellatoes KC902 or Weber KC903.